The Ridpath's saga continues, with ownership still undetermined. 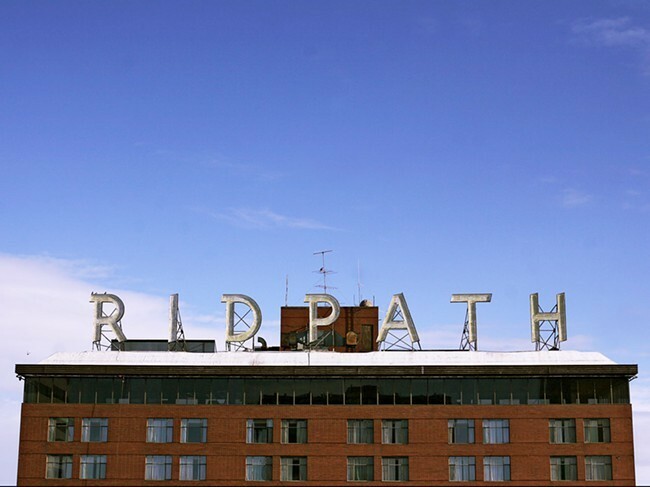 Back in March, local developer Ron Wells assured the Inlander that there was only one major hurdle — a letter of intent from an investor — until he could start pushing at full speed to turn the old RIDPATH HOTEL into a 13-story apartment complex. But with the Ridpath, nothing is ever so simple. In the months since, Wells appears to have lost the bid for several other pieces of the Ridpath. The hotel had been cut up into numerous pieces by a Las Vegas hotelier and con artist Greg Jeffreys before it closed in 2008. In the years since, it has sat empty, plagued by bankruptcies, lawsuits and competing interest groups. "No sane lender would have wanted to take this on if they'd known it would take this long," Wells said back in March. Eventually it was winnowed down to two big groups: On the one side, there's Wells, with the support of the city of Spokane, with plans to create a number of relatively low-priced micro-apartments. He even advertised them on Craigslist in 2013. On the other, there's Stephen Antonietti, the self-appointed savior of the Ridpath who had poured time and money into repairing its worst problems; he wanted to transform the Ridpath into a major hotel-entertainment complex. In September, according to the Spokesman-Review, a bankruptcy court put two portions of the Ridpath up for bid, but Crystal City LLC — with Antonietti's involvement — narrowly edged out Wells' group. If the sale is made official, control of much of the Ridpath property will fall into the hands of Antonietti's group. As of Tuesday, however, details still hadn't been finalized. "It's delayed for a couple of days," Joe Trenchuk, a member of Crystal City LLC, said when asked to clarify the status of the Ridpath. "Just wait for a couple of days... Everything is going ahead." Washington state's community supervision program got a complete overhaul in 2012 with policies that had never been tested on a statewide basis. The goal was to save money and reduce RECIDIVISM while bringing uniformity to a system that could vary widely across the state. Some of the changes to the state's community supervision program included mandatory but reduced jail time (one to three days) for "low-level" violations such as missing a check-in appointment or failing a drug test, swifter penalties for violations and evidence-based drug treatment. Earlier this month, researchers at the Washington State University Institute for Criminal Justice Research released a 73-page report detailing how the new rules impacted community supervision. According to the report, which includes data from about 5,000 participants and focus group interviews with 79 corrections officers and 56 offenders, it's working. The number of potentially explosive OIL TRAINS passing through Spokane and the rest of the Northwest is expected to increase as a result of President Barack Obama's rejection of the controversial Keystone XL pipeline, according to a report commissioned by a Seattle environmental think tank. The report was produced by Oil Change International on behalf of the Sightline Institute. It used the oil industry's modeling and forecasting tools to conclude that oil from Canadian tar sands is likely to be transported using rail to terminals in the Northwest, now that Obama has rejected the pipeline, which would have carried 800,000 barrels a day of crude to the Gulf Coast. "The states of Washington and Oregon are facing a quadrupling of their crude-by-rail terminal capacity to over a million barrels a day," reads the report.